Are you looking for a lightweight moisturizing cream that works wonders? Our soothing Aloe Chamomile Moisturizing Cream is perfect for radiant and glowing skin all over! 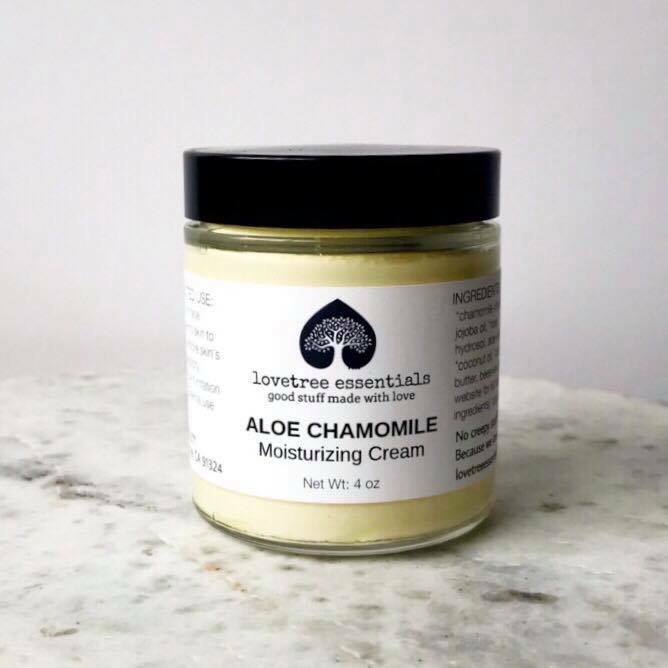 Organic plant oils and butters moisturize skin deeply - quickly-absorbed jojoba oil with cocoa butter and coconut oil keep skin feeling hydrated all day. Aloe vera gel soaks right in and gets to work helping skin heal. But wait, there's more! 😉 Lastly, our favorite anti-inflammatory, skin-loving essential oils like helichrysum, chamomile and rose join in to take great care of you!